This year I've had the privilege to serve as an ambassador for LISTERINE®, bringing you all the news on products to promote oral health and good habits. Earlier in the year, I talked about the LISTERINE® 21-Day Challenge, and followed up last month with some info on LISTERINE® Total Care Mouthwash---the rinse that helps prevent cavities, restores enamel, strengthens teeth, provides total mouth cleansing, and more. As the mother and homemaker in my family, it's my job to make sure everyone is totally taken care of---a big responsibility that I take seriously. In addition to teaching my kids good hygiene habits and providing them with quality products to do so, there are other aspects to this "totally taken care of" thing. Another way I make sure their needs are met is by stocking the kitchen with healthy and hearty foods to make regular, sit-down meals with. I make it a habit to serve fresh, raw fruit with every breakfast and fresh, raw vegetables with every lunch. Of course, I include fruits and veggies in the meals I cook, as well, but establishing this habit years ago ensures that, even if I serve popcorn for dinner now and then, I know they've had some nutrient-rich food that day, as well. Tonight I made Touch Down Taco Dip for Father's Day. 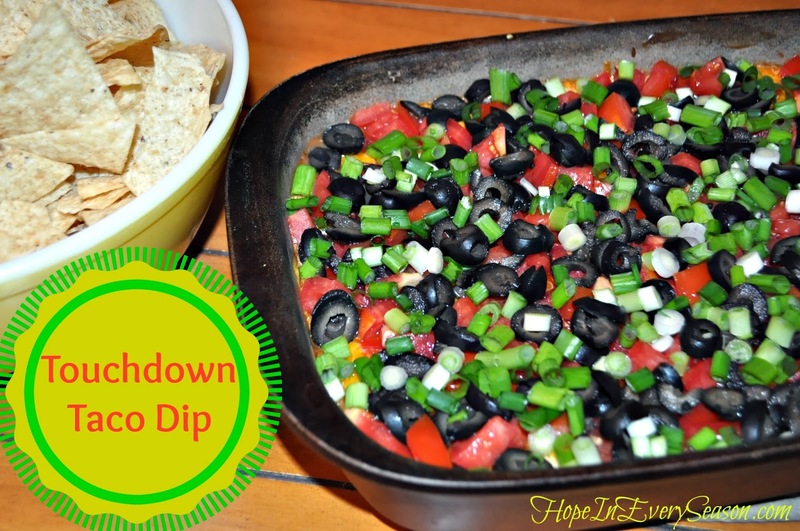 This is a healthy family favorite and can be served with corn chips, celery sticks, or cucumber slices to use for dipping. Another thing I can do to promote positive habits in my family is to make sure we get some sunshine and exercise. We're not really the type of family to go for a run or a bike ride---too many age differences to make that feasible right now---but we love adventures. One of our favorite places to hang out is the Pea Ridge Battlefield just minutes from our home. 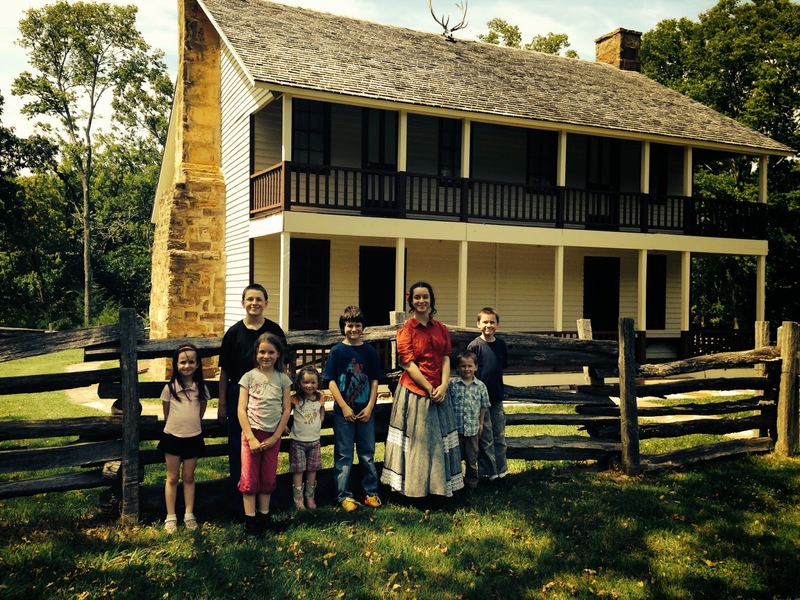 There are miles of hiking trails and tons of history to keep our imaginations going strong! We also like to take basketballs, footballs, and scooters to the park at a nearby lake. That way there's something for everyone to enjoy. In the past, I've wanted to come up with great strategies, routines, and plans to achieve our family's goals. I'm learning that a few goals at a time helps build regular habits and that we really do just need to take things a day at a time and give one another grace as we learn. What are some things you've implemented to keep your family totally taken care of? 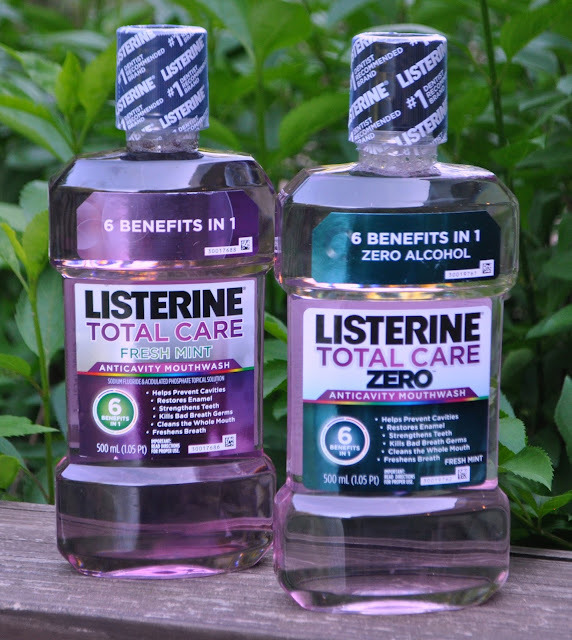 Make sure to shop Walgreens for LISTERINE® Total Care Mouthwash and other helpful hygiene products and check out the 21-Day Challenge to help establish good rinsing routines in your family. I love Listerine. Your dip looks delicious. thanks for posting.